Christmas is a time of great joy and celebration. And it’s also a time of great fun and laughter, as shown by these hugely funny Christmas jokes and humor that we’ve collated for you. Get in the festive spirit with these hilarious kids’ Christmas jokes. 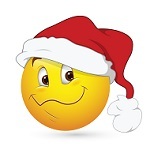 Short and to the point, but rib-tickingly funny, enjoy these Christmas one liners. These elf jokes certainly aren’t bad for your ‘elf! In fact, as laughter’s the best medicine, they can only be good for you! It’d be Rude-olph of us not to share these funny reindeer jokes and puns with you. These funny Santa Claus jokes are sure to fill you with Christmas spirit! These Christmas cracker jokes keep up the tradition of being so bad you have to laugh! These funny snowman jokes and puns won’t leave you feeling cold because they’re brrrriliant! Enjoy these hilarious festive funnies! Knock, knock! Who’s there? These fantastic Christmas knock knock jokes perfect for the festive season, that’s who! Put the “Ho” into “Ho ho ho” with these rude and dirty Christmas jokes for adults only. Strictly no kids alllowed! If you enjoyed these funny Christmas jokes, be sure to have a look at the rest of LaffGaff where you’ll find lots more jokes and other humor. We have a huge selection of funny jokes, trivia questions and answers, funny quotes, quizzes, brainteasers and riddles, and pick up lines, so you’re sure to find something you like!